Walk-ins are welcome and you can book ahead on our EventBrite page: http://ow.ly/gcgB30m55xj The slot is for one child, for additional children please add at checkout under additional admissions. Description: Formerly STEVENS TOYMASTER are having a massive toy sale at Ellon Victoria Hall on Saturday 8th December. We have a large selection of toys available to you for ONE DAY ONLY. Great reductions and Special offers while stocks last. Come along and grab a bargain during this ONE DAY SALE. This is the perfect opportunity to support local this Christmas… Whether you’re searching for lovely gifts for the foodies in your life, or you’re on the hunt for some delicious delicacies to enjoy over the holiday season – you’ll find something special at the Thistle Street Food Market. Interested in exhibiting at Thistle Street Food Market? We’d love to hear from you! Please email AberdeenWestEnd@outlook.com. Description: Santa’s grotto returns to Cheers this year to raise funds for Fraserburgh RNLI. As always there will be plenty of gifts for the wee ones up to the age of 12 and there will be raffles sold for a Xmas hamper. The grotto is located at the rear of Cheers in the large conservatory. Simply walk right up into the beer garden to see the entrance. There is easy access for prams and wheelchairs and baby and disabled facilities to the rear. Heâ€™ll be there every Saturday and Sunday from 24th November up to and including Monday 24th December – Christmas Eve, also Friday 21st. Description: Drum Castle Christmas Festival is a new take on the previous Christmas Holly Fest. Come and see the Castle transformed for the festive season, peruse Exclusively Highland’s unique Christmas Market situated throughout the entire castle , try the wonderful ‘german inspired’ courtyard food, sample our sleigh-driver-friendly mulled wine and visit the Secret Drum Fairy hideaway – a beautiful way to send your very special Christmas wishes! Description: Join us for another fabulous pantomime! Description: We’ll be selling Christmas Trees again this year with all donations going to our charity account!! We’ll have 5” and 6” locally sourced, sustainable nordman firs Trees! We’ll be down at the Brewdog Christmas event selling Christmas Trees!! Once they’re gone they’re gone!! Description: Tickets are £5 for children and £7 for adults and are available from reception now! Description: Ho ho ho! Come take part in this fun-filled event where you can run, jog, or walk in the 5km race, or the Santa Mile Dash! With children of all ages welcome, it’s time to gather the family and get festive! No need for any previous experience as this is just some fun – all for a good cause! As part of your entry fee, you will receive a Santa Suit, a Christmas medal, a goody bag, and the complete support of our experienced events team. Pricing: 5km races – £14.50 for Adults & £8 for Children (under 13’s) all under 8’s must be accompanied by an adult. Santa Mile Dash – £8 for everyone all under 8’s must be accompanied by an adult. After previous success with the annual Santa Run events, Aberdeen Sports Village will again be working with the charity CHAS (Children’s Hospice Association Scotland) throughout the event’s entirety. Description: Come along to Belwade Farm for breakfast & to meet Santa Claus! On arrival you will be greeted by Dancer our miniature pony. He loves to meet our visitors to the farm so please stop and say hello. Every child that attends will receive a glitter tattoo and enjoy a festive craft activity to take home with them. They will be able to meet Santa Claus who will have a special gift for them. Please confirm the ages of children attending when purchasing tickets by adding this information to the special requirements section. Under 1 year olds are FOC but please let us know they will be attending for Santa present. Santa will be here from 10.30am until about 11.30am. During your visit you will also be able to watch some of our Belwade residents in action from the warmth of the bistro. Breakfast is also included within the ticket price from our set menu (subject to change, options may include). All breakfasts with be served with a choice of tea, filter coffee or fruit juice. Children under 1 year are free of charge. Description: Santa is making his yearly visit to the Caledonian Railway – and you’re all invited! Come along for a festive steam hauled train journey through the picturesque Angus countryside on Brechin’s historic branch line. All paying passengers will get to meet the man himself and will receive a gift from one of his very helpful elves! Trains depart Brechin station at 11.00, 12.15, 13.30 and 14.45. Our gift shop will be open selling a fantastic range of toys and present ideas, including a large selection of Thomas the Tank Engine merchandise! The buffet outlets at both of our stations will also be open, serving a range of hot drinks and snacks. We expect trains to fill up very quickly so advanced booking is highly recommended. Messy Play Newtonhill-Messy Christmas Party! Description: Jingle Mess, jingle Mess jingle all the way! Don on your Christmas jumpers and join the best festive party of the season! Mums, dads, boys and girls, whether you’ve been naughty or nice this year, everyone can have a jolly messy time with Messy Christmas! Little ones can mess around with fun activities such as reindeer dust, Brussels sprout Rolling, and candy cane rice, or get messy with our festive treats such as angle foam, Santa good and Christmas pud! All you have to do is come along and mess around and leave the cleaning up to us!! We will have a lower rate for babies to receive a present from Santa to. Booking essential and payment at time of Booking to secure your place. When booking please give the child’s name and age. Description: Come have a North Pole lunch with Santa, dance along with Santas elves to the most amazing Christmas disco, Pose in the Magic Mirror when you get your VIP gift from Santa, post all your last minute letters, lots of games and prizes. Adults welcome too refreshments available to buy at the Palace! Join us at Airyhall Community Centre for our NCT Christmas Party for some festive family fun on Sunday 9th December 2-4pm. This is a ticketed event so that we can advise Santa how many children are attending! 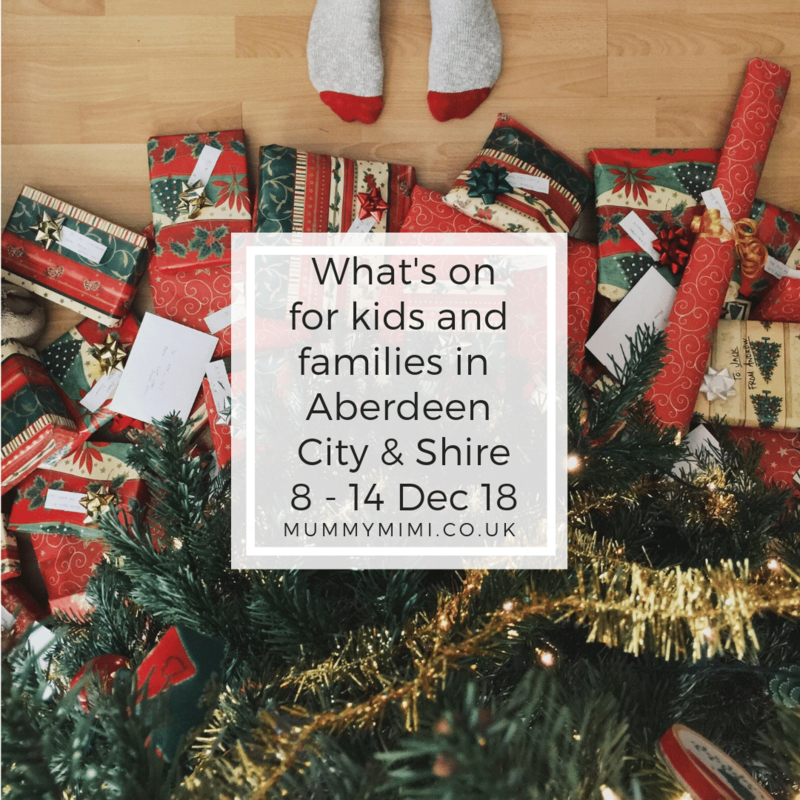 Each kids ticket includes a visit and gift from Santa, Christmas craft, face painting, Moo Music taster session, toys and games along with an age appropriate snack and a hot drink for adults. There will also be some stalls including a yummy home baking stall to kickstart your Christmas shopping. The bands will be performing a mixture of traditional and modern Christmas classics and there will be plenty of opportunity for you to sing along to your favourite carols. The Bon-Accord Silver Band, and the Bon-Accord Silver ‘B’ Band will be filling Ferryhill Parish Church with festive joy and that warm fuzzy feeling of Christmas. Mince pies and mulled wine will be available at the interval and will once again be included in your tickets price. We hope to see you all there again this year – you can wear your favourite Christmas jumper if you wish! Splat Messy Play Christmas Party. Description: WE ARE SUPER EXCITED TO ANNOUNCE THAT SPLAT MESSY PLAY WILL BE COMING TO KINELLAR COMMUNITY HALL FOR A MONTHLY SESSION AND WE WILL BE KICKING THIS OFF WITH A CHRISTMAS PARTY ON MONDAY 10TH DECEMBER FROM 10-11AM. SPACE ARE LIMITED SO PLEASE BOOK VIA OUR ONLINE BOOKING SYSTEM ATTACHED. THIS CLASS WILL COST £7.50 DUE TO IT BEING THE CHRISTMAS PARTY CLASS BUT FUTURE CLASSES WILL COST £6.50 FOR A SINGLE SESSION, £5.50 IF YOU BOOK THE FULL BLOCK OF CLASSES AND WE HAVE SIBLING RATES TOO. 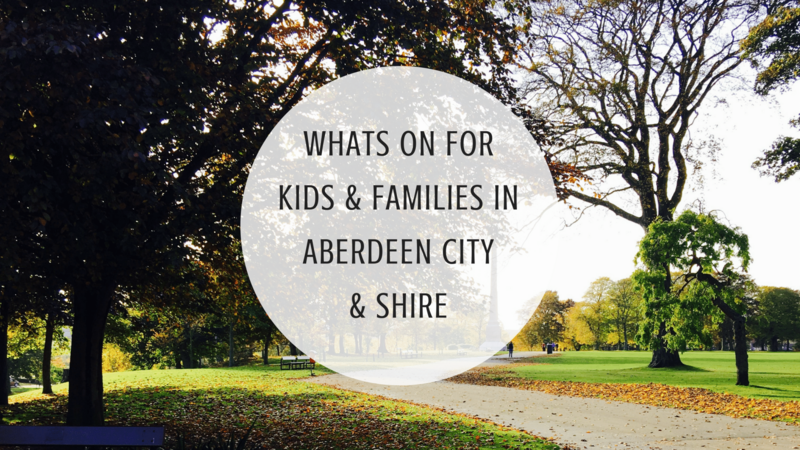 OUR MONTHLY CLASSES WILL BE ANNOUNCED SOON SO PLEASE KEEP AN EYE ON OUR SPLAT MESSY PLAY ABERDEEN & SHIRE FACEBOOK PAGE FOR MORE INFO. Description: Join us for a Christmas Concert at Midstocket Church all in aid of Maggie’s Aberdeen. With performances from Albacappella and Aberdeen Concert Band it’s going to be a great evening! Description: Join us this December for some festive fun, seasonal stories and crafts at your local library.